Give your pictures a personal touch. Thanks to this amazing tool you will be able to create unique photos. Use this fantastic sticker app to bring a smile into your friends’ life. Select a photo from your gallery and start personalizing by choosing between numerous stickers. You will be spoiled for choice in selecting the coolest stickers. 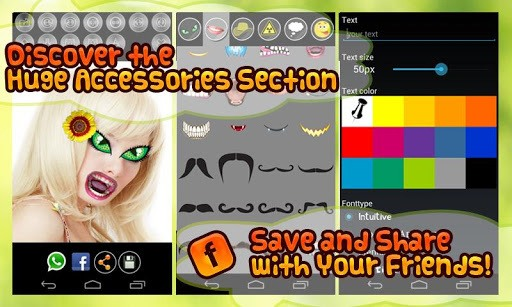 If you like face warp apps, photo editor apps, fun photo effects, face changer apps, swap faces apps or funny photos in general you will love Fun Face Changer: Pro Effects! 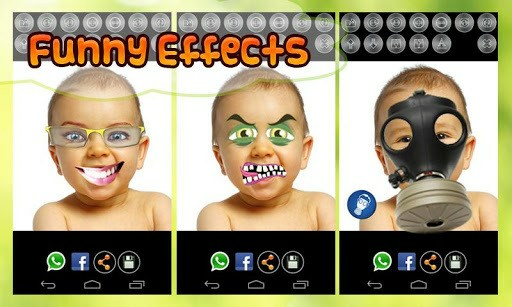 Enjoy hours of fun and laughter with Fun Face Changer: Pro Effects! If you like Fun Face Changer: Pro Effects then please rate it with 5 stars. Thank you! With Fun Face Changer: Pro Effects it is very easy to fake photos.